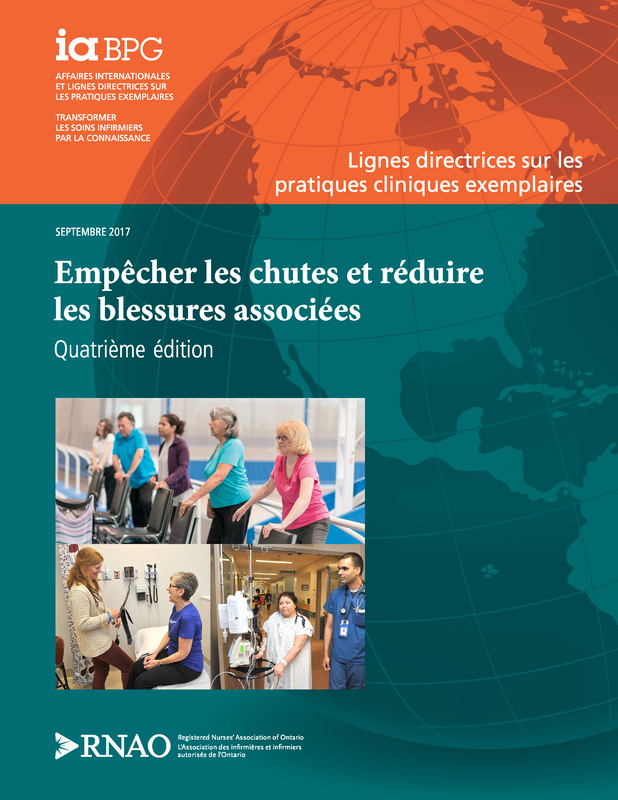 Preventing Falls and Reducing Injury from Falls (4th ed.) 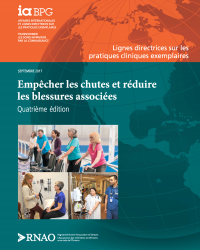 replaces the RNAO (2011) BPG Prevention of Falls and Fall Injuries in the Older Adult, which was originally published in 2002 and then revised in 2005, 2011 and 2017. The purpose of this guideline is to outline evidence-based approaches for preventing falls and reducing fall injuries for adults. Education recommendations are directed at individuals and organizations responsible for the education of healthcare providers, such as educators, quality improvement teams, managers, administrators, academic institutions, and professional organizations. Organization and policy recommendations are directed at those managers, administrators, and policy-makers responsible for developing policy or securing the supports required within health-care organizations that enable the implementation of best practices. For optimal effectiveness, recommendations in these three areas should be implemented together.